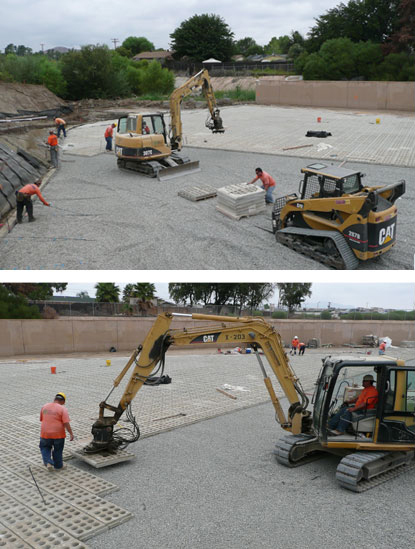 The subgrade is prepared per the project requirements. 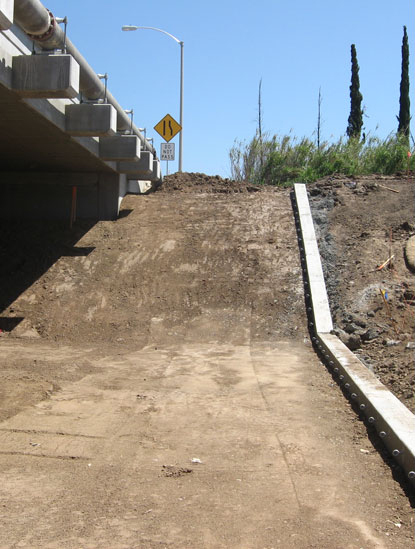 Cut-off walls are installed as specified by the engineer. Install the appropriate filter fabric as specified on the drawings. 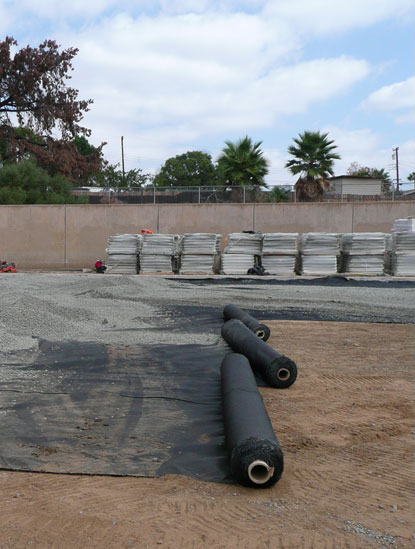 If a drainage layer is required, it may be placed concurrently to keep the fabric in place. Blocks are either hand-placed or placed with a grappling attachment on an excavator. Please contact us for rental information. 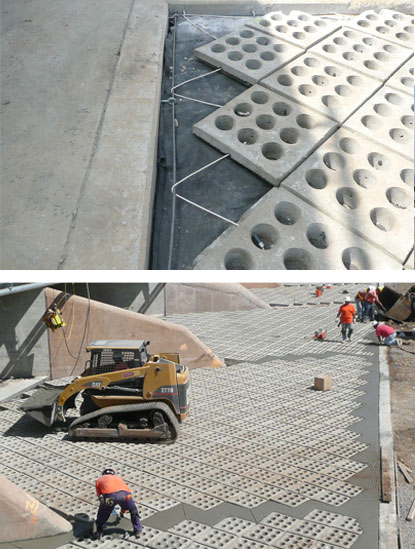 On terminal ends and areas where Enviroflex® abuts existing structures, concrete is typically poured to finish the area. The concrete should be reinforced, have the same strength as the block, and typically be at least 6 inches wide. 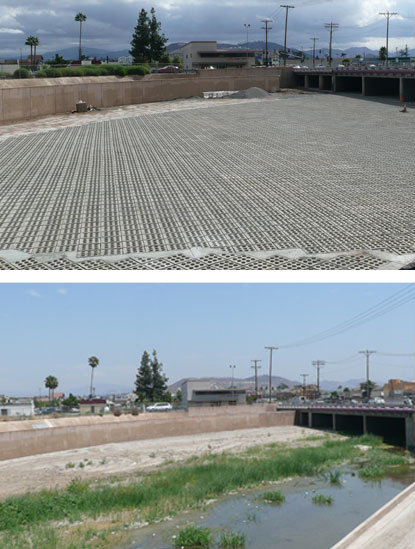 The open cells of Enviroflex® are either backfilled with suitable soil for vegetation, with 3/4 inch diameter crushed stone, or left bare.